A New Chapter: Back to the Studio! So, a month of exhibiting draws to close as I return to the UK. This realisation left me slightly deflated as I’m happiest when exhibiting and networking with artists in New York. The city is unique with a strong community of creative professionals. In my experience, it is a community that shows support and solidarity. It is also a city that embraces the social benefits of art in public spaces. Something close to my heart. I’m also thankful to a friend who reminded me today of the great exhibition and art related opportunities that exist elsewhere within North America and emerging markets. I’m motivated to be as artistic and ambitious as I can be in furthering my artistic leanings. Fingers crossed, I do look forward to returning soon to work on a community project in the Bronx. Further info to come! I’ll return to London, determined to produce a new portfolio of work, worthy of my many talented contemporaries , that reflect my thoughts on a number of themes and topics. Hello everyone! 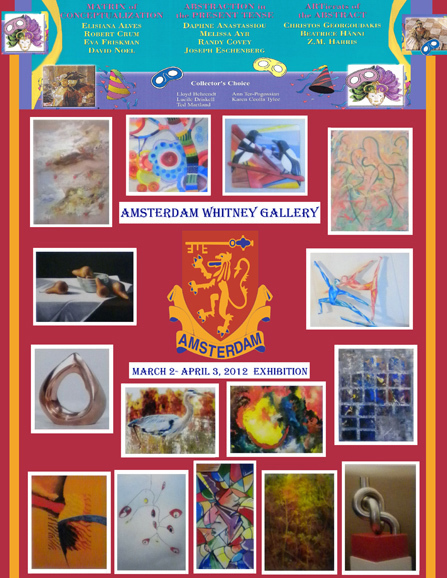 This week sees the start of my latest show, forming part of the Amsterdam Whitney’s March exhibitions. ‘Matrix of Conceptualisation’ runs from March 2 to April 3rd in New York’s Chelsea district. If you’re in town and around please pop in as it would be great to see you plus get your feedback. ‘Matrix of Conceptualisation presents four remarkable international masters from Brazil, the U.S., Sweden and England who offer expressionistic visceral vistas with a global perspective as they dynamically illustrate universal themes which are infinitely rich in variety while capturing diverse viewpoints of our world. 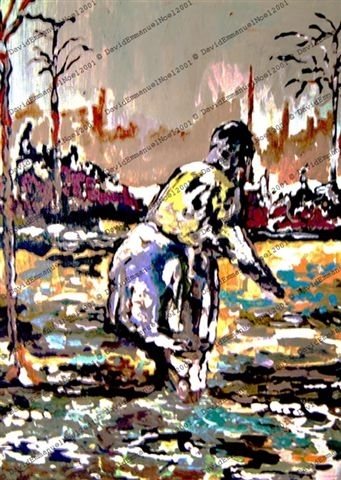 Investigating both the physicality of the environment as well as the inner emotions of the human spirit, their conceptually symbolic compositions are intriguing creations which provide a vibrant opportunity for reflection, consideration and enjoyment, as they alluringly appeal to the human heart. Elisiana Alves brilliantly conveys the complexity and profundity of nature in her ravishing, vividly colored nature series entitled “Sofia’s Forest” where she orchestrates an amalgam of abstract themes into her landscape paintings which reveal semi-abstracted reveries of magical realms while adding a contemporary expressionistic perspective. Robert Crum introduces his own individualistic lexicon of illuminated hues and masterful brush strokes in his visually rich plein-air landscape and still life paintings which offer contemporary reinterpretations of classically inspired perceptions that exude radiant light and luscious color as they luminescently echo the timelessness and beauty of our natural world. Eva Friskman’s unique fused glass on steel plate paintings resonate with an organic luminescence as her texturally bold two dimensional works are evocative of natural subjects matter such as woman’s faces, birds, flowers, jars, utilizing transluminescent colors which externalize the magnificence of everyday objects, people and events of nature. I’m following the blog of my friend Nichelle and fully agree with her reservations regards using the term ‘black’ as a self description. Check it out!